On Nov 20th the Recording Academy announced that Chris will be performing at the 2019 MusiCares Person of the Year tribute concert honoring GRAMMY winner Dolly Parton. Also performing that evening are GRAMMY winners Norah Jones, P!nk, Mark Ronson, and GRAMMY nominees Leon Bridges and Lauren Daigle, as well as Shawn Mendes. 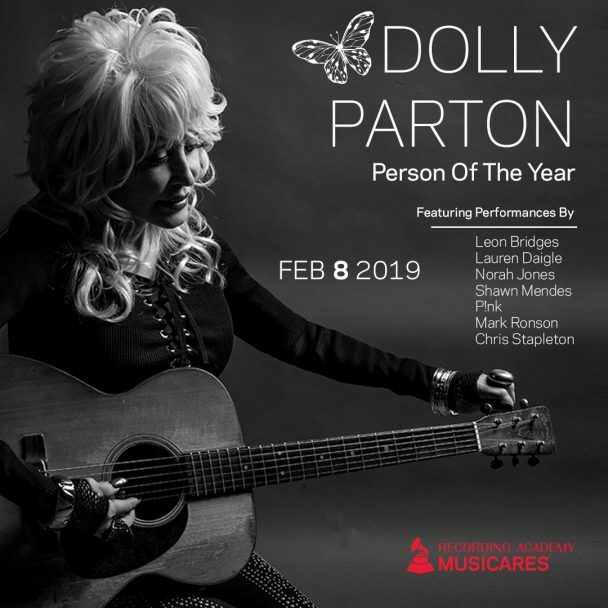 These artists and more will honor the ground-breaking country icon’s legacy and achievements at the special event on February 8th as part of GRAMMY Week in Los Angeles, two nights before the 61st Annual GRAMMY Awards.